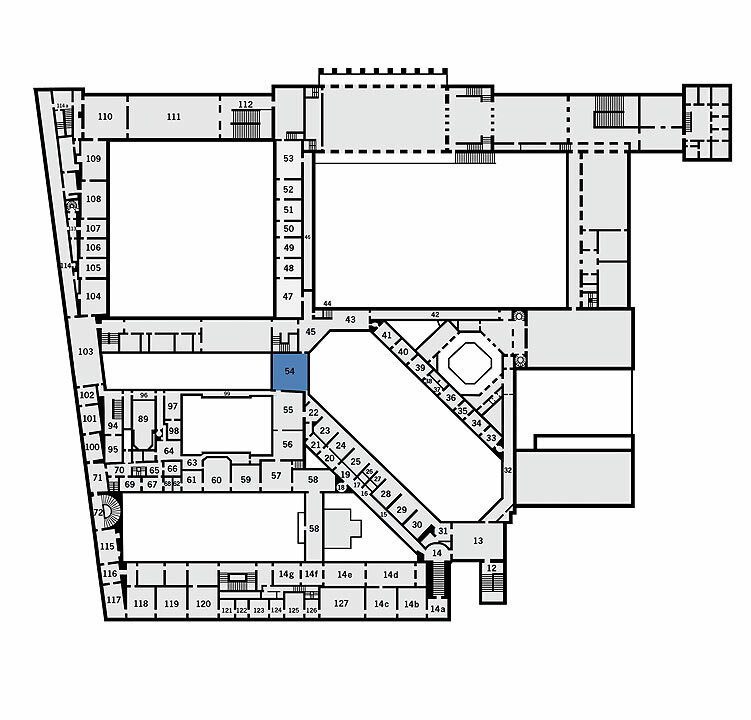 The exhibition in the Hall of the Knights of St George (Room 54) is a documentation in pictures of two vanished royal paradises in the Residence. 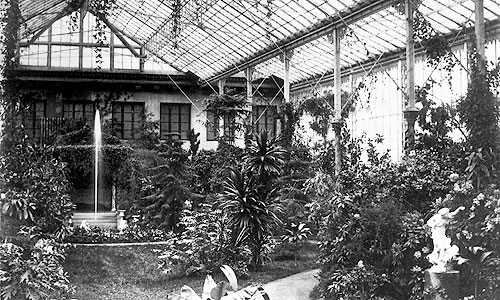 The first conservatory, a construction made of glass and iron, was built between 1851 and 1854 for King Maximilian II between the Old Residence Theatre and the Royal Palace (design: Franz Jakob Kreuter, construction: August von Voit). 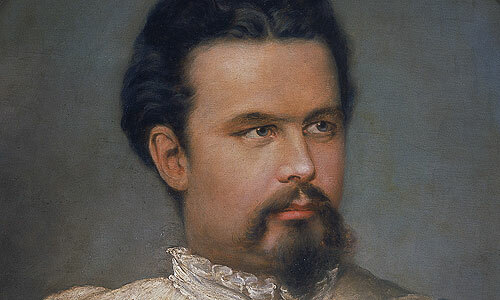 His son, King Ludwig II, copied the idea but took it into the realm of the fantastic. 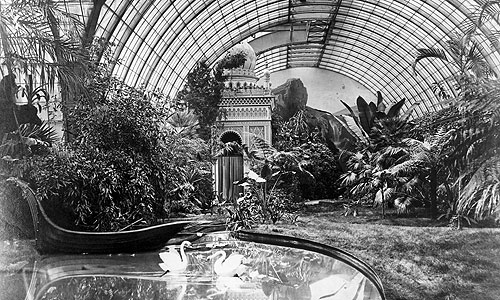 From 1869, Voit built a further conservatory for him on the roof of the Festival Hall Building in the form of a vaulted, almost 70-meter-long free-standing hall with an iron frame in which Court Garden Director Carl von Effner laid out an exotic landscape garden surrounding an artificial lake that was completed in 1871. 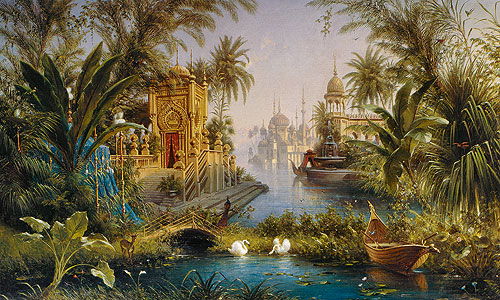 By combining a romantic love of nature and the latest technology, Ludwig’s conservatory perfectly represented the artistic endeavours of the 19th century. 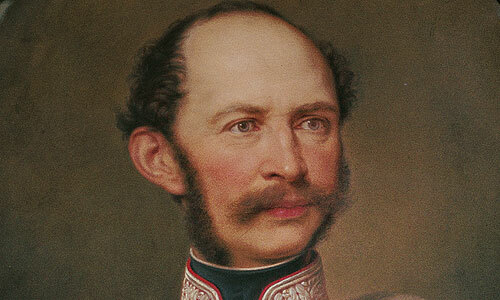 Only a few years after Ludwig’s death, however, this fascinating creation was dismantled.